Watch out! The enemies are coming and we are under attack! 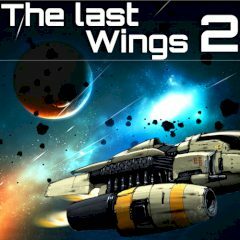 So, this is the best time to use the project wings again shoot all ship and destroy the enemies to save the planet in this bullet hell game with High quality graphics and sounds. It is so easy to control, just use the mouse for movement and left mouse to use special attacks. Do you think that it is so easy? Well, then just try it and you will love this game. Fly through the distant space and kill all the enemies of yours. Just have faith in yourself. Have fun!